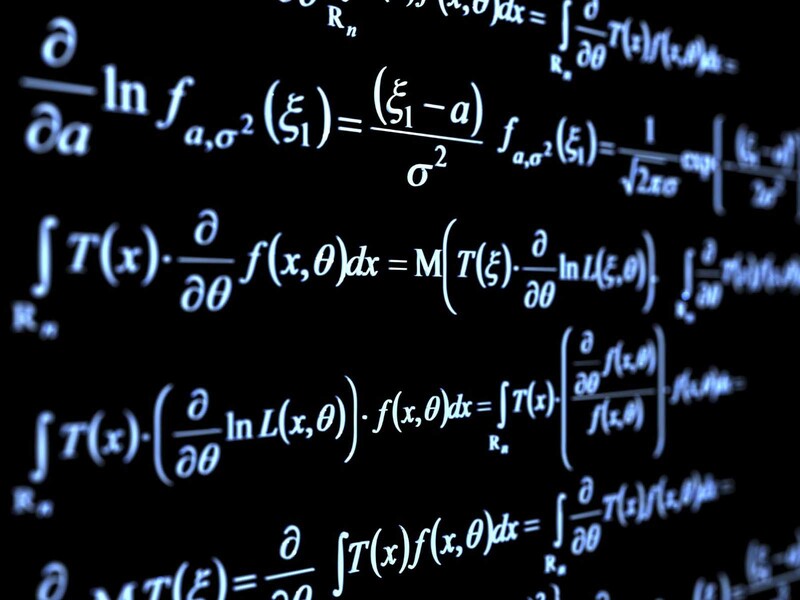 Home Mathematics What is it like being a Mathematician? World of a Mathematician! Imran Anwar describes the fascination and scope associated with Mathematics. Mathematics is a subject that everyone comes across in his/her early school days. Mathematics courses are usually loaded with enticing topics and challenging problems. As a student, I always took mathematics like a game that starts with easy levels and progressively gets tougher. I was always curious and impressed with my mathematics teachers and thought of them as some special human beings with extraordinary skills. I always wanted to be better in mathematics than those teachers. These curiosities led me to explore different ways of problem solving. Somehow, these efforts earned me a good reputation among my colleagues and teachers. As a high school student, I never wanted to choose a career where I would have to leave mathematical studies. At that time, it was not clear to me about how it would be possible to stay in touch with mathematics. Moreover, I never wanted to choose a non-fancy or non-prominent career and with the passage of time I decided to do Masters in mathematics. During this phase, I started visualizing the conceptual understanding of those topics; I had already dealt with during undergraduate studies. The stories of historical developments of various theories loaded me with lots of fascination and enticement. It was my fear of leaving mathematics that pushed me toward building a career in mathematics. After my masters in Mathematics, I had to compete with my teachers who taught me in my bachelors and masters in the admission test of MPhil leading to PhD program at Abdus Salam School of Mathematical Sciences (formerly known as School of Mathematical Sciences). Since then, I have stuck to one thing; mathematical learning be it through reading, teaching, discussing or transmitting ideas through research publications. Mathematical skills are based on conceptual understanding of subtle structures of logic. Mathematicians acquire exceptional stubborn attitude and skills to battle against mathematical problems. Most research mathematicians are quite passionate about their subject, while being aware that their enthusiasm is not shared by the public at large. Is this just a case of “love is blind”? I would like to discuss this matter in this article. I hope by doing so, I can stimulate young undergraduates to adopt a career in mathematics. There are a number of awards in mathematics that mathematicians attempt to win. Winning awards or accolades is a sure way of going up in the career. One of the most prestigious awards in mathematics is the Field Medal; given to one or more mathematicians for their extraordinary contributions, provided that their age is less than 40 years at the time of award ceremony. There are many other awards given by different bodies. The Abel Prize in mathematics is considered comparable to Nobel Prize, given by the King of Norway to exceptional mathematicians. The Clay Mathematics institute has also announced prize money of US$1 million prize for the one who solves any one of the ‘millennium problems’. Mathematicians acquire unique way of looking at the universe around them; more realistic but abstract. A famous English mathematician Andrew Wiles solved one of the most famous Millennium problems, namely, Fermat’s Last Theorem in 1995. Andrew Wiles described in an interview that he came across the Fermat’s Last Theorem first time in his early school days. Since then, it became his aim to do mathematics to solve this problem. Alan Turing was another exceptional mathematician, who broke the Russian Enigma Codes during the World War II. Alan Turing was the first one, who gave the idea of artificial intelligence. John Nash revolutionized the field of economics by giving his groundbreaking ideas about Nash equilibrium. David Hilbert paved the paths for physicists to understand and describe the dynamics of Quantum particles in a more accurate way. Srinivasan Ramanujan was the self taught mathematicians, who never attended high school or any institutes for learning mathematics. Yet, he astonished the world with his deep results about the number theory. Terence Tao is one of the living inspirations for many at present. He is an Australian-American mathematician who has already earned a lot of distinctions in a very early phase of his career. Tao exhibited extraordinary mathematical abilities from an early age, attending university-level mathematics courses at the age of 9. Tao was the youngest participant to date in the International Mathematical Olympiad, first competing at the age of ten; in 1986, 1987, and 1988, he won a bronze, silver, and gold medal. He remains the youngest winner of each of the three medals in the Olympiad’s history, winning the gold medal shortly after his thirteenth birthday. At the age 14, Tao attended the Research Science Institute. When he was 15, he published his first research paper. In 1991, he received his bachelor’s and master’s degrees at the age of 16 from Flinders University. In 1999, when he was 24, he was promoted to full professor at UCLA and remains the youngest person ever appointed to that rank by the institution. The list of inspiring mathematicians is too long to be contained in this short article. Mathematical research revolves around proving statements based on careful observations. The phase of solving a research problem is filled with various maddening moments. Sometimes, an idea gets stuck in mind and the hardest task is to describe it in exact words. There are many areas with many new endeavors in mathematics. Mathematics is considered to consist of two vast branches, namely: pure mathematics and applied mathematics. The classification used for mathematical research paper is known as AMS subject classification. There is always scope and room for newcomers with fresh ideas. I believe that young students with a high potential should adopt mathematics as a career as plentiful opportunities and international scholarships are available for the young talented mathematicians. Dr. Imran Anwar is a faculty member at Abdus Salam School of Mathematical Sciences, Lahore. His research interests lie in commutative algebra and combinatorics.